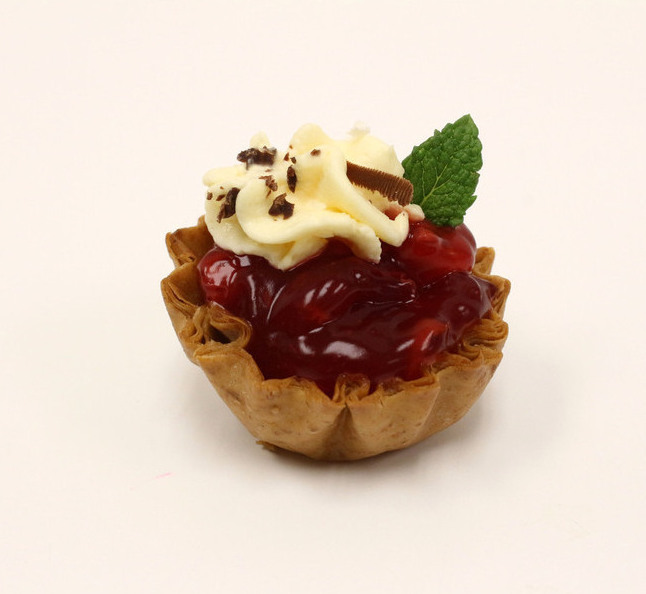 These mini cherry pies are a complete breeze to make and will be ready for you and your guests to inhale in no time! Spoon pie filling into phyllo shells. Garnish as desired and serve. To make warm cherry pies, preheat oven to 350°F. 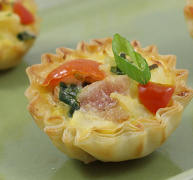 Place filled phyllo shells on a baking sheet and bake for 10-12 minutes. Try a cherry pie bar. Place graham shells in a basket and cherry pie filling in a small bowl. Arrange ramekins with assorted toppings near them on a serving table so your guests can make their own creations. This light and fluffy coffee mousse has all the flavors of your favorite latte in edible form. 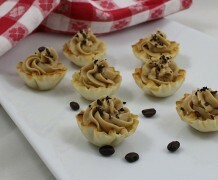 Make sure you take extra of these coffee desserts to the shower or brunch get-together, because they will go quickly.